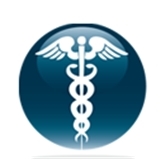 New York Doctors Walk-In Urgent Care (New York) - Book Appointment Online! New York Doctors Walk-In Urgent Care is Manhattan's solution for prompt quality general medical care and services. Staffed by board-certified emergency medicine and family practice physicians and equipped at our West Village location with X-ray and lab equipment, New York Doctors Walk-In Urgent Care is prepared to provide fast diagnosis and treatment of non-life-threatening illness and injury as well as occupational medicine, physicals, and vaccines. New York Doctors Walk-In Urgent Care is the perfect solution for people who don't have a primary care physician or who don't want to wait for an appointment with their regular doctor. New York Doctors Walk-In Urgent Care is a great time and money-saving alternative to going to the emergency department for medical care of non-life-threatening injuries or illnesses. She is amazing! Always makes you feel comfortable and she is a good listener to how you are feeling. I booked last minute and was pleased with the process as well as the wait time. Both the staff and doctor were very nice and helpful. I appreciated that after letting her know that I was paying for myself with no insurance, she gave me options and advice in going about affording my medication.